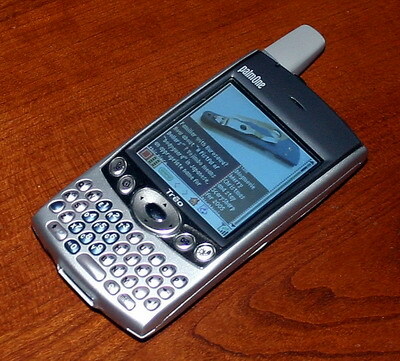 I have been a PDA user since the original US Robotics Pilot, through several WinCE models, and now the Treo 600. The device is a major downgrade in several areas: battery life, screen resolution (compared to my older iPaq), footprint, and memory. However, I love it: another life changing device (like the Tivo) that can really enhance productivity. I am using the Good Technology software that keeps my email current 24/7 and synchronized on the device. Its fairly liberating to be able to respond to an urgent email in a typical trapped in the 3 hour planning meeting event. The downside is the leash effect: checking my email nonstop throughout the evenings and weekend. 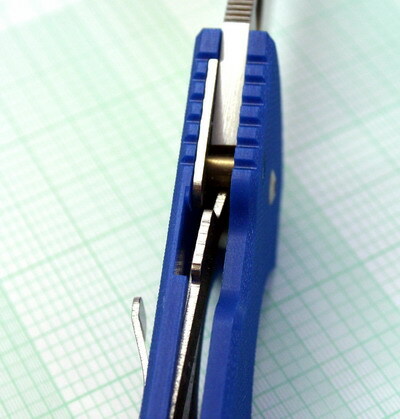 My problem, not the tool’s fault. I am a recent convert to the Getting Things Done system, and my main technology is paper, a hipster PDA that I read about on 43folders.com, however the Treo is irreplaceable for contacts, calendar, and email. Familiar with Kurosawa? How about A Fistful of Dollars ? Yojimbo means “bodyguard” in Japanese, an appropriate name for this piece. Although I love my Ronin, I find it difficult to carry any fixed blade as EDC. The Yojimbo is almost as good as the Ronin for blade length, comfort, and cutting ability. The Ronin still feels very sleek and rounded; the Yoji is a bit chunkier. 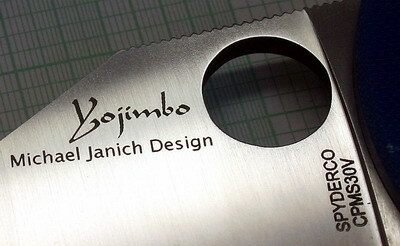 Many have pointed out that while the design was primarily intended for self defense, the Yojimbo makes a superior utility knife. 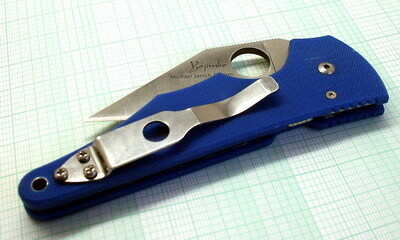 Adding to its charm, the blue G-10 and the strange blade shape make it very innocuous to the non-bladeophile. 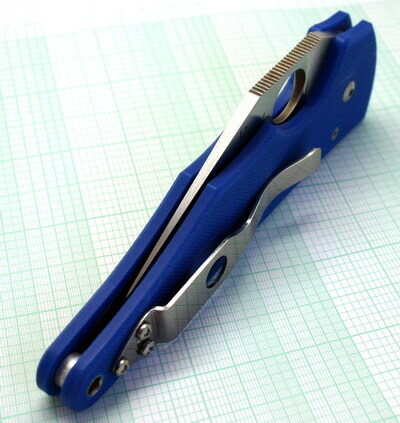 It kinda looks like a utility knife, even thought I would be more afraid of it’s blade than a traditional clip-point. The extremely fine tip has gotten quite a workout during the move opening boxes, and even cutting plastic zip-ties. At first I was concerned that the tip might break with too much leverage under tight ties, but I shouldn’t have worried, there has been no incident. The tip (S30V) is just as strong if not stronger than the Ronin tip(VG10). 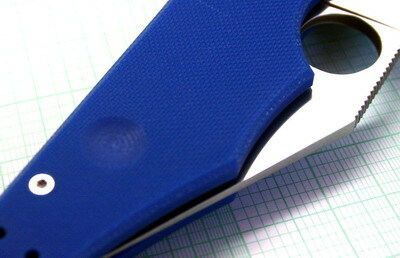 I still haven’t sharpened it, but for me, wharnies have got to be the easiest possible blade shape on the sharpmaker. This is my main weekend carry now. Thanks Mike Janich and Sal !! !